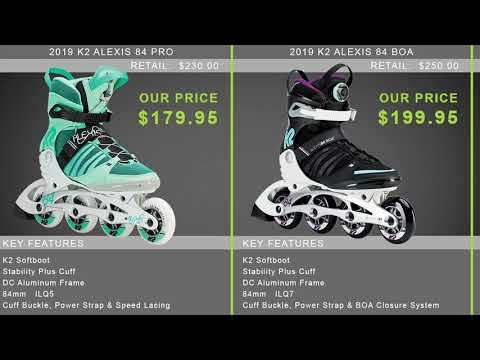 Train smarter this year with the K2 VO2-S 100 X Pro Women's Inline Skates. Part of K2's new VO2-S X-Training Series, the VO2-S 100 X features a one-of-a-kind VO2-S one-sided Hi-Lo Frame. This unique frame design uses 90mm wheels up front and 100mm wheels in the back, allowing skaters to take advantage of the acceleration and maneuverability of the smaller front wheels while enjoying the top-end speed of the larger rear wheels. Add in ILQ 9 Classic Plus Bearings and the VO2-S 100 X skates fast, agile, strong and smooth. The VO2-S 100 X also has a VO2 Cuff for supreme support, and uses the Vortech Ventilation System to keep your feet feeling fresh during intense skate sessions. 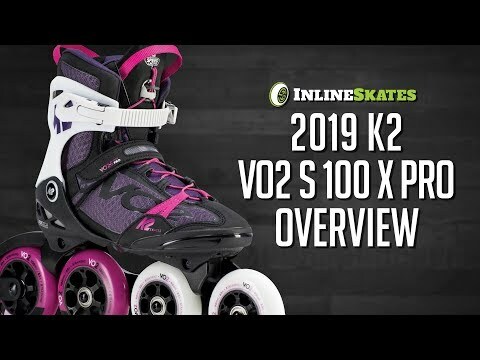 The K2 VO2-S 100 X Pro Women's Inline Skates make for a great cross-training tool for athletes out of season or experienced skaters who want to get a great workout in while covering long distances. Q: Dear Sir, I would like to buy 4 rollers of which 2 roller ke v02 s 100 boa man size 8 and 10, 1 roller bladder c02 s 100 x pro woman size 8, and the roller Rollerblade - Endurance Pro 125 size 10, how are you going to buy and deliver them in Guadeloupe, and Also how much will make me all with the ports too, thanks. A: For international shipping of items please add all the desired items to the cart and then select the international shipping option, from there you will be given expected shipping times and costs for your order.